NEWARK, New Jersey -- The acting head of New Jersey Transit has sharply criticized a federal labor panel's proposal for avoiding a potential strike by union rail workers. The panel has recommended that NJ Transit raise train workers' pay by about 2.6 percent per year over the next 6 years. The Presidential Emergency Board said its recommendation would be consistent with wage increases at the other four large commuter rail carriers - Southeastern Pennsylvania Transportation Authority, Metropolitan Transportation Authority, MetroNorth and PATH. Nine members of the state's congressional delegation recently wrote the agency to recommend that it "seriously consider" the federal proposal, which was written by a neutral group of independent arbitrators. The lawmakers also suggested that the agency could use federal funds to pay for a settlement. 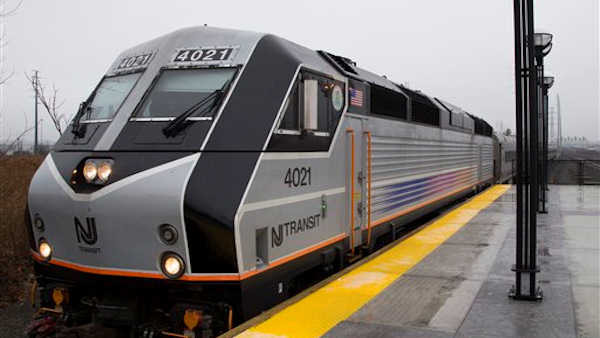 In a response sent Friday, interim NJ Transit executive director Dennis Martin said the agency and riders can't afford the cost of the settlement endorsed by the second Presidential Emergency Board, NJ.com reported. He also noted NJ Transit can't use money from a recently authorized federal transportation funding law to pay for a settlement because that money is available for capital construction projects, not regular operating expenses such as wages and benefits. Martin also said recommendations calling for "platinum level" health benefits are "unreasonable and excessive." The unions have been working without a new contract since 2011. They contend NJ Transit's health benefit offer would negate any wage increase workers would receive. Contract talks are ongoing and a tentative negotiation session is scheduled for next week. But a federal cooling off period ends on March 13, and union rail workers can then strike or management can lock them out. A strike would be calamitous for tens of thousands of daily rail commuters in New Jersey, many of whom rely on trains to get into New York City. They would have to use buses or cars to cross the Hudson River at bridges and tunnels that already are routinely choked with traffic. Ferries are another option but would require transportation to and from docks. NJ Transit operates 12 rail lines and more than 200 bus routes, and provides more than 295,000 passenger trips daily on its trains. NJ Transit's last strike was in 1983.